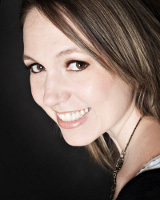 Please help me welcome author Julie Anne Lindsey to A Buckeye Girl Reads! She is here today talking about Dystopian and World Building! Her newest book Deceived, was released on Sept 18th! I’m a huge fan of YA, especially where there is romance, but dystopian has never been my favorite. That all changed last week when I picked up Divergent by Veronica Roth. I’ve read dystopian before. Reluctantly. For example: I read the Hunger Games out of duty because the movie opened that weekend and I could put it off no more. It interested me enough to buy the trilogy. Book two captivated me and book three I literally threw at my wall. More than once. It wasn’t the best overall experience. I’ve read some other too, like Matched and Delirium, but they didn’t stick either. Not like Divergent. Divergent stuck. I’m still kicking myself for an enormous missed opportunity. Last month, I visited Chicago for the ALA American Library Association National Conference. If I’d read Divergent before I went, my trip would’ve been much different. Thanks to Roth’s amazingly vivid depiction of a dystopian Chicago, I would’ve skipped the shopping and dining and opted instead for seeing Merciless Mart : ) or stared up at the Hancock Center imagining a zip line on the 96th floor. Oh, so much wasted time. Who needs Burberry when I could’ve walked the river and imagined it dried into mud and puddles? I will never tackle the world-building required for stories like Divergent. My imagination is stunted, I think. I’m setting impaired. What? That’s a thing. Also, and please don’t tell anyone. I have a serious inferiority complex now. After reading Divergent, I wouldn’t know where to start. I’d just fall on my face and beg forgiveness if I dared attempt it. So, I’ll stick with what I know and love. Ohio. Honestly, Ohio really is a new world to many readers. Deciduous trees and colored leaves. Hayrides and combines. How many people can’t tilt their chin skyward at night and see stars? Lots. They see buildings. Everywhere. Did you know the fireflies I adore aren’t a part of everyone’s life? Some places don’t even have fireflies and in California…they DON’T LIGHT UP. What! I know Ohio love is a small thing, but it’s my thing. I drop characters into my world for lots of reasons, but one of the best reasons is to invite readers over to my place. Life is beautiful here and I want to share. In Ohio, the creepiest and most fascinating season to me is fall. I chose fall to begin my newest release, DECEIVED. In this story, a teen begins her senior year with that anything-can-happen feeling rolling inside her. I miss that sometimes. Unfortunately, as the leaves start falling and trees begin sleeping and night comes earlier and earlier….the monster who haunts her dreams literally breaks loose into her reality. He’s there to kill her. Too bad no one bothers to warn her. 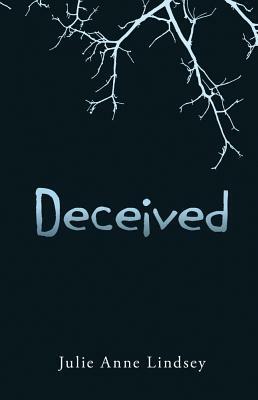 If you’re in the mood for a YA suspense, or a bookish trip to Ohio, I hope you’ll consider DECEIVED. Thank you so much, Colette, for letting me be a part of your blog! Available September 18th on Amazon Barnes & Noble Book Depository and more.